If you had been unaware of Shaun the Sheep until the Shaun the Sheep Movie came along, you’ve really been missing out on some top-notch stop-motion animation goodness. From the folks at Aardman, who also produced Creature Comforts, Wallace & Gromit, and Chicken Run, Shaun the Sheep has slowly been making its way from the U.K. to the U.S., most recently via Cartoon Network’s Boomerang channel. The show first came into being in 2007, but the character of Shaun dates back to some of the studio’s earlier work. The show takes place in England at the Mossy Bottom Farm, wherein a group of various livestock, particularly sheep, attempt to break out of everyday mundane routines and have some fun, all without being caught by the Farmer or his ever-watchful dog Bitzer. In the movie, the Farmer is accidentally whisked away to the big city. After a concussion leaves him with amnesia, he finds himself working in a salon, sheering hair for willing patrons. Meanwhile, Shaun, Bitzer, and the rest of the flock attempt to go to the city to get him back, all the while attempting to avoid an obsessive animal trapper named Trumper. What’s terrific about Shaun the Sheep is, besides just being an incredibly cute show to watch, it that it has a much wider appeal than other shows similar to it. None of the characters, human or otherwise, actually speak on the show, and all of the actions and communication is expressed visually. It plays like a silent movie in that anybody from any background can follow exactly what’s going on without there ever being a barrier of any kind in front of them. And it’s also not a show that’s strictly for children either. Children certainly benefit the most from it, especially in today’s world of hyperactive cartoons and TV shows, but adults can enjoy it just as much, if not more. It respects its audience’s intelligence, which is wholly refreshing. The movie is no different, but whereas the show has a very quaint and laid-back setting and feeling to it, the movie cranks up the action a bit, takes us off of the farm and into the city, and even throws in some songs. The latter is really the only hiccup, but not to an enormous degree. It works and it doesn’t work at the same time because without it, the simplicity of the characters within a feature-length version of the show might feel a little dry. As far as the story is concerned, it’s certainly movie material, with an expansive nature that Aardman has proven it can pull off. There are times when the movie is quite heartfelt as well, but never in a overly schmaltzy way. It’s the king of heartstring-tugging that’s completely earned because the characters are so effective and the story is built up so well around it. I’m just thankful that studios like Laika and Aardman still exist. In a world where computer animation reigns supreme, it’s nice that there are still studios out there producing something a little more interesting and, therefore, more enjoyable. I enjoy Pixar’s movies for the most part, but I’ll still take hand-drawn or stop-motion animation any day of the week instead. 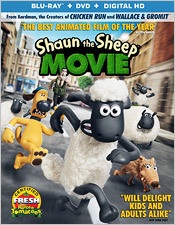 And if you enjoy the latter, the Shaun the Sheep Movie is a no-brainer. It’s a wonderful movie that’s very adorable, funny, and sweet. There’s certainly nothing cynical at all about it, and that’s one of its finest qualities. 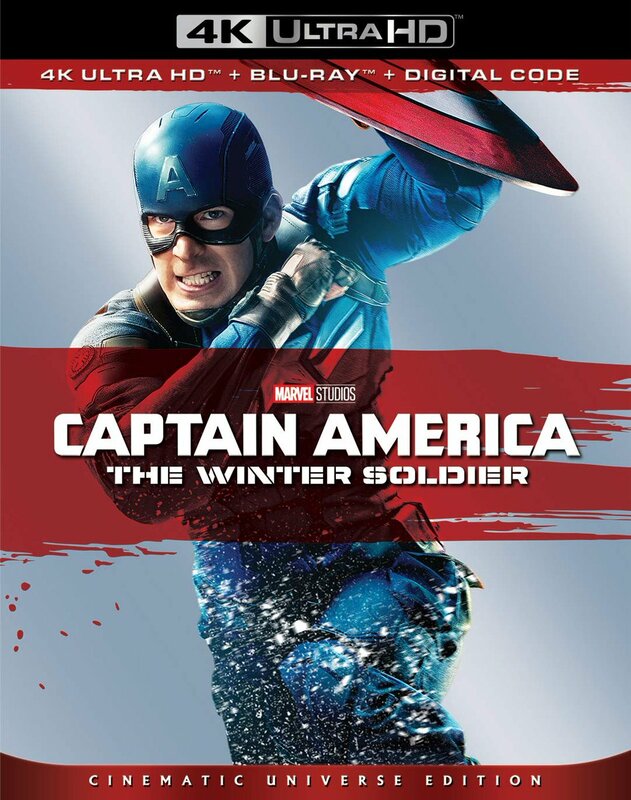 Lionsgate’s presentation of the movie on Blu-ray is just as strong as you could want it to be. It’s a crystal-clear picture with a strong color palette and perfect brightness and contrast levels. Black levels are quite deep while fine detail, even in the background, is immense. There doesn’t appear to be any signs of digital augmentation either. 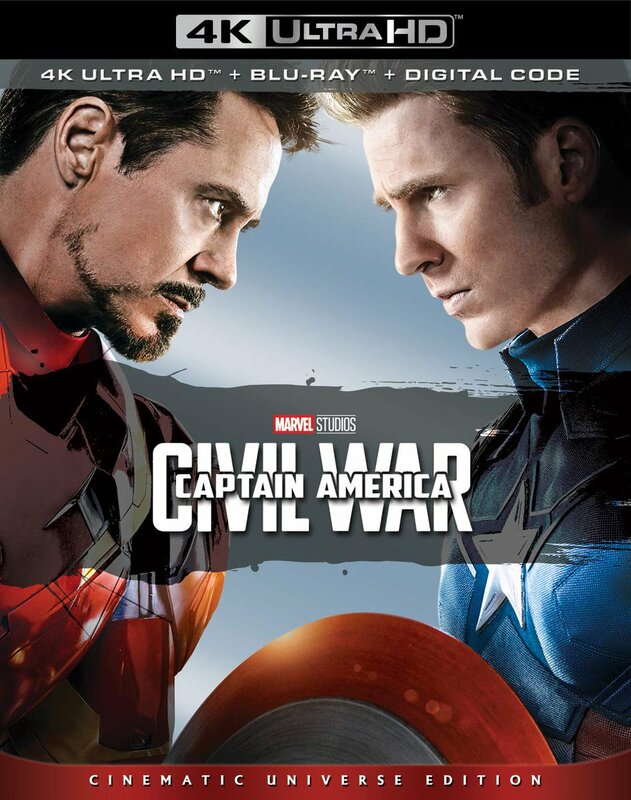 For the audio portion, there are two tracks available: English 5.1 DTS-HD and English Descriptive Audio. This is the kind of presentation that depends greatly on its audio. As previously mentioned, none of the characters speak, but they do make sounds, as does the environments around them, so a well-balanced soundtrack can make it come alive. Thankfully that’s the case, as the 5.1 track certainly accomplishes making things lively, with plenty of surround activity and both clear and strong sound effects. There’s also some occasional use of LFE, particularly with the music. It’s a terrific presentation overall. Again, there is no dialogue, so there are no subtitle tracks available (or necessary). For the supplemental section, there’s some decent EPK-type material to dig through, but I was a little disappointed because I wanted a little more background on the show and characters afterwards. In this release you’ll find a set of Shaun the Sheep Behind-the-Scenes featurettes (Making the Shaun Movie, Meet the Characters, Join Shaun Behind the Scenes, and Meet the Crew); a U.S. theatrical parody poster still gallery; a set of trailers for other less than savory family titles (Norm of the North, Alpha and Omega: Family Vacation, Alpha and Omega 2: A Howl-iday Adventure, The Giant King, and Pups United); a bookmarks option; a paper insert with a Digital HD code; and a DVD copy, as well. The Shaun the Sheep Movie should delight people of all ages, and should be a lovely adventure for those who are already fans of the show. The Blu-ray presentation found on this release is strong, but the extras are a little lacking. Even so, it’s still a decent package and worth picking up.